Italian MSX programmer ARTRAG has sent us a beta of his MSX-DOS 2 I/O library to add to our ever growing free downloads section. 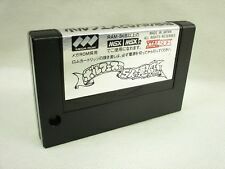 This library offers to access MSX-DOS 2 functions from Hi-Tech C v7.8 (CP/M target), based on a similar library for SDCC. Just add msxdos2.lib to your libraries and msxdos2.h to your headers, and off you go! I've found that for strange reasons HTC, targeting CPM, does not link correctly fopen, fclose, fgetc etc etc. I'd like to do the same for the old msxdos (msxdos2 isn't very common on msx1).